Many people are catching chick fever! Are you planning on bringing home baby chicks this spring? 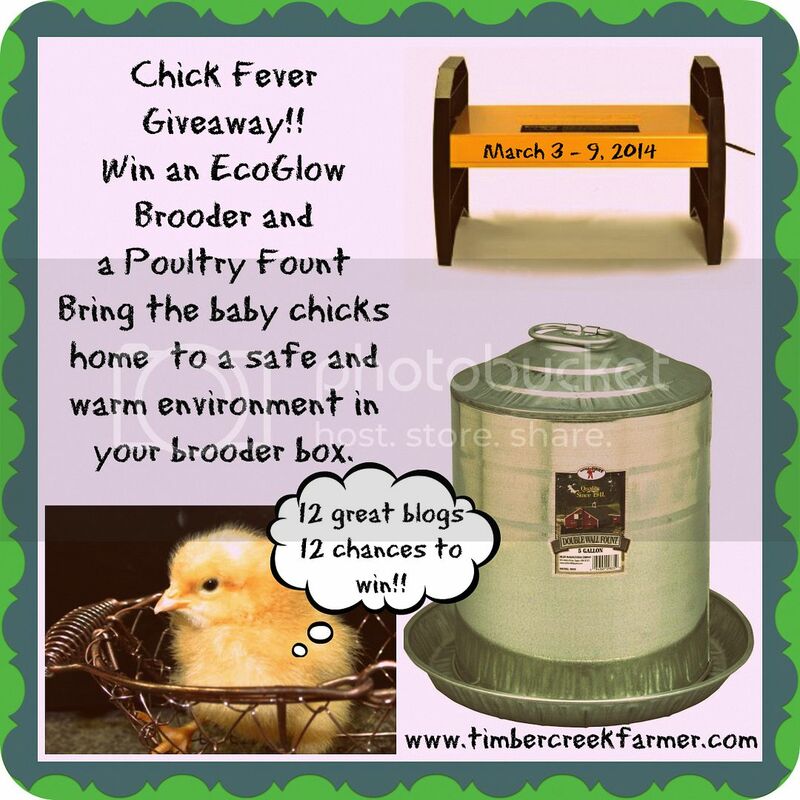 If so you should take a moment right now and enter this giveaway for a chance to win an Eco Glow Brooder for keeping the chicks warm. And a bonus prize, a 2 gallon galvanized poultry water fount. 11 other bloggers have joined with Timber Creek Farm to bring you this amazing giveaway. It's easy to win. Contest ends midnight March 9th so don't delay! Here's the complete list of the blogs taking part in this giveaway. This is a wonderful giveaway...thank you so much for hosting it!